Sinchon and Hongdae area is youthful and full of energy. You can find everything here, including Department Store, trendy stores, and every kind of restaurant and bar that you could imagine. The streets of Sinchon and Hongdae light up at night with glowing neon signs for night clubs, bars and the noraebang. Kimchee Sinchon Guesthouse is the choice for budget conscious travellers who want to not only stay in Seoul but feel what it’s like to live in it. 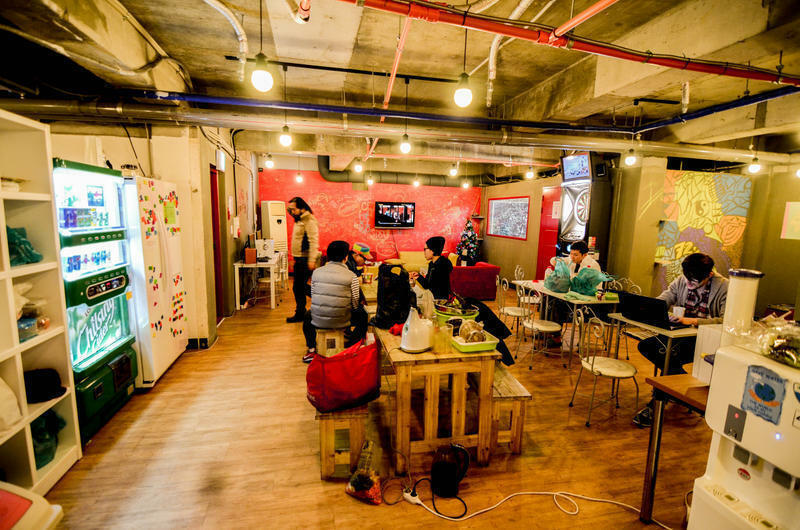 Ready to book your Seoul Guesthouse? Fuseball table, and Darts are equipped in Common Area. Play with your friends, families and other guests at the guesthouse!